Subhankar Banerjee is an Indian born American photographer, writer, activist and environmental humanities scholar. He has been a leading voice on issues of Arctic conservation, indigenous human rights, resource wars, and climate change. He has also done work in the American Southwest that addresses desert ecology and forest deaths from climate change, and recently started a project to address climate change impacts and politics of ecology in the coastal temperate rainforests in the Pacific Northwest. His research focuses on the intersection of art, ecocultural activism and environmental humanities. Subhankar’s photographs, writing and lectures have reached millions of people around the world. Following a six–month residency as a Visiting Fellow at Clare Hall, University of Cambridge, on 15 August 2016, Subhankar joined the University of New Mexico as the Lannan Foundation Endowed Chair and Professor of Art & Ecology. EARLY YEARS & SCIENCE…Subhankar was born in 1967 in Berhampore, a small town near Kolkata, India. His early experiences in his parents’ tropical home in rural Bengal fostered his lifelong interest in the value of land and its resources. His parents introduced him to the work of their friend, renowned writer and activist Mahasweta Devi, whose work and life continues to inspire him. During his childhood he came to know the work of brilliant Bengali filmmakers, including Ritwik Ghatak, Satyajit Ray and Mrinal Sen. He loved cinema and found their visual explorations of everyday life and larger social issues immensely inspiring. His great uncle Bimal Mookerjee, a painter, taught him how to paint. He created portraits and detailed rural scenes, but knew from growing up in a middle–income family that it would be nearly impossible for him to pursue a career in the arts. He chose instead the practical path of studying engineering at the Jadavpur University in Kolkata, and later earned two masters degrees in physics and computer science at the New Mexico State University in the United States. In 2008, the Institute of Physics in London published an interview with Subhankar, ONCE A PHYSICIST. ARCTIC…After a fourteen–month long journey in the Arctic National Wildlife Refuge in Alaska, Subhankar published his first book in 2003, ARCTIC NATIONAL WILDLIFE REFUGE: SEASONS OF LIFE AND LAND (Seattle: The Mountaineers Books). The book received several awards, including Independent Publishers Book Awards: Silver Award on Environment, ForeWord Magazine’s Book of the Year Award: Gold Award on Environment, Banff International Mountain Book Festival Awards: Best Book—Mountain Images, and was named one of the top twenty science books of 2003 by the Discover magazine. 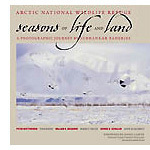 In The Times Higher Education Supplement Andrew Robinson wrote that, “Seasons of Life and Land will surely become a classic of American environmental consciousness.” Through a generous grant from the Lannan Foundation, 10,000 copies of the book were donated to indigenous communities, activists, students, libraries and policy makers. The accompanying exhibition at the Smithsonian National Museum of Natural History, however, was censored during the George W. Bush administration, which resulted in major criticism from the international press. “Smithsonian Is No Safe Haven for Exhibit on Arctic Wildlife Refuge,” Timothy Egan charged in THE NEW YORK TIMES; in an editorial, “Some Scary Pictures,” the LOS ANGELES TIMES opined, “It’s sweet justice when attempts at censorship backfire and call attention to the very thing the censor hoped to hide”; and Ingrid Sischy wrote an extensive story, “The Smithsonian's Big Chill,” in VANITY FAIR. Both the American Museum of Natural History in New York and the CALIFORNIA ACADEMY OF SCIENCES in San Francisco revived two separate versions of the Seasons of Life and Land exhibition. With generous support from the Lannan Foundation, the California Academy of Sciences traveled seven simultaneous copies of the exhibition to sixteen museums around the United States. 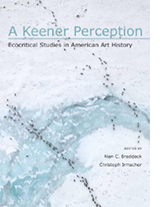 A detailed account of that history can be found in historian Finis Dunaway’s essay “Reframing the Last Frontier: Subhankar Banerjee and the Visual Politics of the Arctic National Wildlife Refuge,” in the pioneering anthology, A KEENER PERCEPTION: ECOCRITICAL STUDIES IN AMERICAN ART HISTORY (Tuscaloosa: University of Alabama Press, 2009). In 2006, Subhankar returned to the Arctic—Alaska and the Yukon Territory in Canada—to expand the geographical and conceptual scope of his work. The following year, he visited Alaska again, and went to the Sakha Republic in Siberia and visited two indigenous communities, the Even and the Yukaghir. In 2007, the Hood Museum of Art at Dartmouth College presented an exhibition of his Arctic photographs, RESOURCE WARS IN THE AMERICAN ARCTIC. The following year, Sundaram Tagore Gallery in New York City published a monograph of his photographs, Resource Wars, with an introduction by writer Peter Matthiessen and an essay by photography historian Kelley E. Wilder. In 2009, Dartmouth College Artist–in–Residence program published a monograph, Subhankar Banerjee: Photographs, with an essay by historian Karl Jacoby. A detailed theoretical analysis of his Arctic photography can be found in art historian Yates McKee’s essay, “Of Survival: Climate Change and Uncanny Landscape in the Photography of Subhankar Banerjee,” in the anthology IMPASSES OF THE POST–GLOBAL: THEORY IN THE ERA OF CLIMATE CHANGE, VOL. 2 (Open Humanities Press, 2012). A more recent discussion of Subhankar‘s art and visual activism can be found in art critic and historian T. J. Demos‘s pathbreaking book, DECOLONIZING NATURE: CONTEMPORARY ART AND THE POLITICS OF ECOLOGY (Berlin: Sternberg Press, July 2016). DESERT…Subhankar has engaged not only with the far—the Arctic, but also the near—the desert, where he lived. From 2006 till 2010, he walked regularly in all seasons, in about a five–mile radius around his home, in northern New Mexico and made photographs to understand the desert ecology and address the massive forest deaths due to recent climate change. With support from the Lannan Foundation, the Amon Carter Museum of American Art in Fort Worth presented a one–person exhibition of the desert series in 2011, WHERE I LIVE I HOPE TO KNOW, which was curated by Jessica May. Select photographs from the desert series were also included, the same year, in a group exhibition, EARTH NOW: AMERICAN PHOTOGRAPHERS AND THE ENVIRONMENT at the New Mexico Museum of Art in Santa Fe, curated by Katherine Ware. In 2012 and 2014, photographs from his desert series were shown at the Lannan Foundation Gallery, in Santa Fe, New Mexico. His photographs have been exhibited in more than fifty museums and galleries around the world, including the 18TH BIENNALE OF SYDNEY: ALL OUR RELATIONS, in Sydney, Australia, in 2012, and the RIGHTS OF NATURE: ART AND ECOLOGY IN THE AMERICAS at the Nottingham Contemporary in the United Kingdom, in 2015. Between 2004 and 2011, four monographs of his photographs were published: The Last Wilderness: Photographs of the Arctic National Wildlife Refuge by Gerald Peters Gallery (2004), Resource Wars by Sundaram Tagore Gallery (2008), Subhankar Banerjee: Photographs by Dartmouth College (2009), and Where I Live I Hope to Know by the Amon Carter Museum of American Art with essays by Subhankar and curator Dr. Jessica May (2011). Subhankar’s photographs have also been discussed widely in art historical essays and in art reviews. Some of the journals and magazines include: Third Text, American Art, Art in America, Oxford Art Journal, Journal of Visual Culture, ArtNews, and American Quarterly; and some of the books include: A Keener Perception: Ecocritical Studies in American Art History (2009), Far Fields: Digital Culture, Climate Change, and the Poles (2011), Impasses of the Post-Global: Theory in the Era of Climate Change (2012), Undermining: A Wild Ride Through Land Use, Politics, and Art in the Changing West (2014), Art and Politics Now (2014), Critical Landscapes: Art, Space, Politics (2015), A Companion to American Art (2015), Decolonizing Nature: Contemporary Art and the Politics of Ecology (2016). WRITING…In 2008, while in the midst of the desert photography, Subhankar started writing, for academic publications initially, and later for the public. His public writing largely addresses the rapidly advancing climate change in the Arctic and the southwestern desert of the United States and resource wars in the Arctic. He has written more than two dozen long–form articles, which appeared in numerous progressive Internet publications, including TomDispatch of the Nation Institute, ClimateStoryTellers that he founded (2010-2014), AlterNet, Al Jazeera, Asia Times (Hong Kong), Bill Moyers’ Moyers & Company, Common Dreams, Counterpunch, Countercurrents (India), Dissident Voice, The Ecologist (UK), Energy Post (Belgium), Grist, Guernica, Huffington Post, Juan Cole’s Informed Comment, Le Monde diplomatique, Mother Jones, The Nation, Nation of Change, Peace, Earth and Justice News (Canada), Resilience, Salon, Truthdig, and Truthout. Some of these articles have also been translated into other languages, including French, German and Spanish. He also wrote one book review that appeared in the Los Angeles Review of Books, and one letter–to–the–editor that appeared in The New York Review of Books. 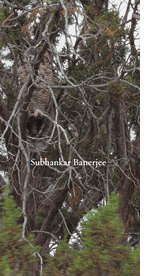 Subhankar has also written more than a dozen scholarly essays (many of which are peer–reviewed) that appeared in books and journals, including The Scholar and Feminist webjournal special issue “Gender on Ice”; Alaska Native Reader: History, Culture, Politics (Duke University Press); Third Text journal special issue “Contemporary Art and the Politics of Ecology” (Routledge); World Policy Journal special issue “Climate’s Cliff” (World Policy Institute); Social Text journal Periscope dossier “Radical Materialism” (online), the 18th Biennale of Sydney exhibition catalogue all our relations; and Photography Changes Everything (Aperture and Smithsonian Institution). His forthcoming essays will appear in Ecocriticism and Indigenous Studies: Conversations from Earth to Cosmos (Routledge Interdisciplinary Perspectives on Literature, August 2016), Routledge Handbook of Religion and Ecology (Routledge International Handbooks, August 2016), and Living in the Anthropocene: Humanity in the Age of Humans (Smithsonian Books, 2017). From July 2010 till June 2012, he edited an anthology on the Arctic. 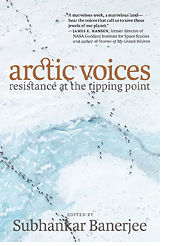 With help of two successive residencies, Director’s Visitor at the Institute for Advanced Study in Princeton and Distinguished Visiting Professor in the Department of Art History and Music at Fordham University in New York, and a generous grant from the Alaska Wilderness League—on 3 July 2012, ARCTIC VOICES: RESISTANCE AT THE TIPPING POINT was published by Seven Stories Press in New York. An updated paperback edition was published with a new conversation between Dr. James Hansen and Subhankar, on 22 September 2013. 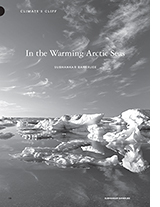 With thirty–nine essays and testimonies by indigenous cultural activists, scientists, and writers, and photographs and drawings contributed by sixteen artists, the book depicts the Arctic, not as a remote place, but intimately connected to the rest of the Earth. The book received supportive reviews from both sides of the Atlantic. “In Arctic Voices, long–term issues of global importance—the exploitation of wild places for fossil fuels, and whether we’re determined to ride out our energy binge to the grim end—are made immediate and vivid,” Ian Frazier wrote in The New York Review of Books. “Arctic Voices is itself an important contribution to the struggle for environmental justice in the far North,” Reinhard Hennig wrote in Ecozon@: European Journal of Literature, Culture and Environment. Subhankar’s art, writing and visual activism have become instrumental in the conservation efforts of several ecoculturally significant areas of the American Arctic, including the Arctic National Wildlife Refuge, Teshekpuk Lake wetlands, Utukok River uplands, and the Beaufort and Chukchi seas. He works closely with the Gwich’in and Iñupiat indigenous communities of the North American Arctic, and with the environmental organization Alaska Wilderness League. FOREST…In 2014, Subhankar started a new photography project, small pictures of paradise, in the Olympic Peninsula, in Washington State, where he was living then. Briefly stated, small pictures of paradise was sparked by the 2015 “Paradise Fire” in the Olympic National Park, the largest fire in recorded history in the western coastal temperate rainforests of the Park. The photography, however, is not a record of the fire, or its impact, since almost no one in the general public saw the fire, but about invisibility of social-environmental violence in our time of anthropogenic climate change. He wrote a long–form article PARADISE BURNING for TomDispatch of the Nation Institute in New York, which was subsequently published widely around the world and was translated into Spanish. The aesthetic strategies employed in the three projects—the Arctic, desert, and the forest—varies widely, leading to distinctly different visual depictions of the three geographies. Yet these are not disconnected efforts but are different braids of the same river—an effort to apprehend the significance of art and ecology in our time of unprecedented ecological crises. LECTURES…To raise public awareness about the significance of protecting the Arctic National Wildlife from oil and gas development, Subhankar gave more than thirty lectures between 2003 and 2005. Some of the venues included, California Academy of Sciences, Princeton University Woodrow Wilson School of Public and International Affairs, Harvard University Museum of Natural History, Columbia University Earth Institute, University of Chicago Harris School of Public Policy, University of Pennsylvania, University of New Mexico, University of Washington, University of Alaska in Fairbanks, and a Lannan Foundation Readings & Conversations event with writer Peter Matthiessen and Gwich’in elder Sarah James, which he remembers with much fondness. Since then, Subhankar has given over one hundred invited lectures, and participated in numerous panels, across the United States and Europe. Some of his significant lectures include, the inaugural lecture of a yearlong series, The Environmental Humanities–A Public Forum, at the University of Texas–Austin (2015), Environmental Photography and Humanities international symposium at the Valand Academy, University of Gothenburg, in partnership with the Hasselblad Foundation, Gothenburg, Sweden (2015), Rights of Nature international conference at the Nottingham Contemporary, Nottingham, United Kingdom (2015), Andrew W. Mellon Foundation Visiting Artist Lecture at the University of New Mexico–Albuquerque (2015), Conflict Shorelines: History, Politics, and Climate Change symposium at the Princeton University (2015), keynote speech “Long Environmentalism” at the Society for Literature, Science and the Arts annual conference PostNatural at the University of Notre Dame (2013), artist lecture at Where Are We Going, Walt Whitman? annual series at the Gerrit Rietveld Academie of Fine Arts and Design in Amsterdam (2013), keynote speech at the Next North Symposium at the Anchorage Museum (2012), lecture at the Stanford University Environmental Humanities Project (2012), keynote speech at the Association for the Study of Literature and Environment biennial conference Species, Space and the Imagination of the Global at the Indiana University (2011), the Annual Rapaport Lecture in Contemporary Art at Amherst College (2011), and lectures at the Themester: sustain·ability: Thriving on a Small Planet series at the Indiana University (2010), Critical Encounters—Human|Nature annual series at the Columbia College in Chicago (2009) and the Annual Lyceum II Lecture with Peter Matthiessen at the University of Utah in Salt Lake City (2008); and an event "Wilderness and the Imagination" with David Allen Sibley and Terry Tempest Williams at the Benaroya Symphony Hall hosted by the Seattle Arts and Lectures that was attended by 2500 people (2005). In 2013, in a Lannan Foundation In Pursuit of Cultural Freedom lecture by Dr. James Hansen, Subhankar introduced Dr. Hansen and and then engaged him in a conversation after the talk (2013). In 2014, Subhankar facilitated the concluding workshop, “The Process of Writing and Using Images,” at the Humanities for the Environment symposium at the Arizona State University, hosted by the ASU’s Institute of Humanities Research (2014). Some of Subhankar’s panel participations include, the Art and Activism panel at the Hood Museum of Art at Dartmouth College, co–hosted by the Hood Museum and the Institute of Arctic Studies in the John Sloan Dickey Center for International Understanding (2014), the Eco-aesthetics: Contemporary Art and the Politics of Ecology conference at the University College London (2013), The Anthropocene: Planet Earth in the Age of Humans—a Smithsonian Grand Challenges Symposium at the Smithsonian Institution (2012), The Art of Sustainability panel at Princeton University (2011), Art+Environment conference at the Nevada Museum of Art (2011), Gender on Ice conference at the Barnard College (2008), Unlearning Intolerance: Art Changing Attitudes Toward the Environment symposium at the United Nations Headquarters in New York (2008), and an United Nations Environment Programme Climate Change symposium at the Palais des Beaux–Arts in Brussels (2007). In 2016, he will be giving lectures at the Center for the Arts, Social Sciences and Humanities (CRASSH) at the University of Cambridge (UK), Clare Hall College at the University of Cambridge (UK), De Montfort University (UK), Center for Creative Ecologies at the University of California–Santa Cruz, Laboratory for Environmental Narrative Strategies (LENS) at the University of California–Los Angeles, and will participate as a panelist at the American Studies Association annual conference in Denver, Home/Not Home: Centering American Studies Where We Are. MEDIA…Subhankar’s many media interviews include, Democracy Now! with Amy Goodman and Juan Gonzalez (2012), The Real News Network with Jaisal Noor (2013), Democracy Now! with Amy Goodman and Narmeen Shaikh (2015), The Real News Network with Sharmini Peries (2015), Think Radio with Krys Boyd (KERA—NPR Dallas/Fort Worth) (2011), If You Love This Planet with Dr. Helen Caldicott (2011), IdentityTheory.com with Alexandra Tursi (2010), Democracy Now! with Amy Goodman in Copenhagen during the UN COP15 climate change conference (2009), Institute of Physics: Once A Physicist (2008), and WBUR–NPR On–Point with Tom Ashbrook (2003). His stories have been featured in multiple television productions, including LinkTV’s “Refuge at Risk” (2003), Pittsburgh’s WQED “Arctic Warrior” (2007), and Sundance Channel’s series “Big Ideas for A Small Planet,” season 1, episode Create (2007). Profile stories about his work have appeared in many publications—in Pratidin by Nabaneeta Dev Sen (in Bengali READ ONLINE 2007), Vanity Fair by Ingrid Sischy (DECEMBER 2003), The Seattle Times Sunday Magazine by Lynda V. Mapes (21 MARCH 2004), Seattle Post–Intelligencer by Regina Hackett (25 JUNE 2005), livemint:The Wall Street Journal, India, by Ananda Banerjee (5 AUGUST 2012), The Telegraph, Kolkata, India, by G. S. Mudur (14 APRIL 2013), and the India Abroad by Monali Sarkar (30 AUGUST 2013). AWARDS…Subhankar has received several awards for his art, writing and activism, including an inaugural Cultural Freedom Fellowship from Lannan Foundation (2003), an inaugural Greenleaf Artist Award from the United Nations Environment Programme (2005), National Conservation Achievement Award from National Wildlife Federation (2003), Special Achievement Award from Sierra Club (2003), Housberg Award from Alaska Conservation Foundation (2002), and was named an Arctic Hero by Alaska Wilderness League (2010). In 2011 Subhankar was awarded a DISTINGUISHED ALUMNUS AWARD by the New Mexico State University, and in 2012, a CULTURAL FREEDOM AWARD by the Lannan Foundation. Subhankar’s academic appointments have included, visiting scholar (2006–2008) at the graduate program in Environmental Humanities at the University of Utah in Salt Lake City, Artist–in–Residence at Dartmouth College, Distinguished Visiting Professor in the Department of Art History and Music at Fordham University in New York, Visiting Fellow at the Forbes College of Princeton University, and DIRECTOR’S VISITOR at the Institute for Advanced Study in Princeton. Subhankar spent the first half of 2016 as a Visiting Fellow at Clare Hall, University of Cambridge, and then joined the University of New Mexico as the Lannan Foundation Endowed Chair and Professor of Art & Ecology. For the latest news on publications, lectures and exhibitions please visit the NEWS page on this site.